20 squads of 3 against each other. When pressing Ready, the game states Party Not Ready, even when playing alone. There have been numerous reports of crash to desktop on both Nvidia and AMD GPUs. 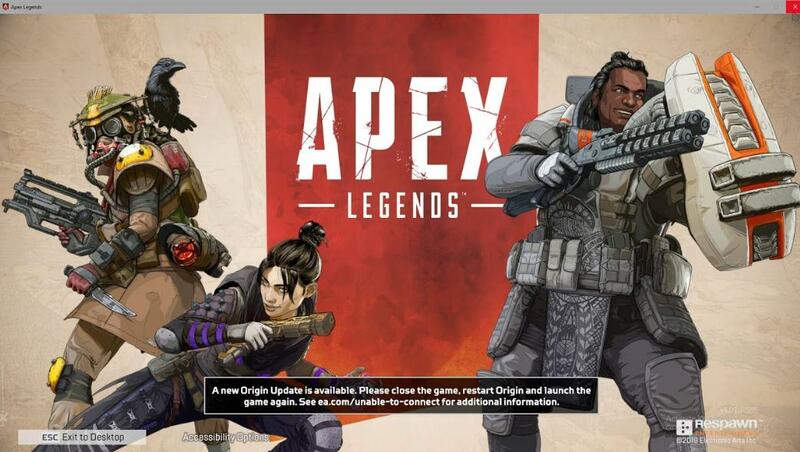 Some Nvidia drivers might not properly detect Apex Legends as a game and automatically select and make use of the Nvidia discrete GPU to render the game on Nvidia Optimus platforms, instead it will default to using the integrated GPU that resides in the CPU (Intel-based GPU). Under Manage 3d settings, open the Program Settings tab. 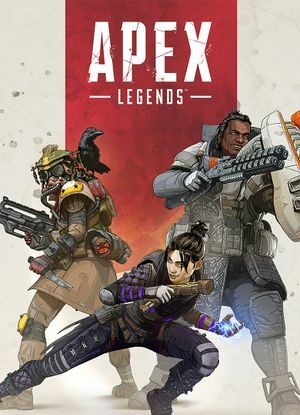 Add a profile for Apex Legends (r5apex.exe). Change Select the preferred graphics processor for this program to High-performance NVIDIA processor. 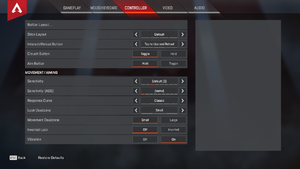 The Select the preferred graphics processor for this program option is only available on Nvidia Optimus platforms that uses switchable graphics cards, such as laptops and console-sized PCs. 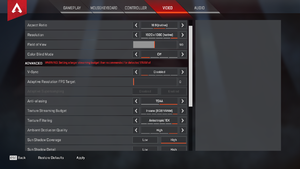 If this option is not available then either the system is not an Nvidia Optimus platform, or incorrect iGPU and dGPU drivers are installed. Refer to your system manual and OEM drivers section to locate the proper Intel and Nvidia drivers to use. Locate game in Origin Library. Uncheck 'Enable Origin In Game'. This is usually caused by a conflict of another overlay, i.e. disable Discord's overlay. Open your mouse specific settings. Check if polling rate is high. Lower polling rate to 500 or below. Lowering polling rates reduces the rate of mouse updates to the PC. These arguments must be set in Origin or in the Windows executable shortcut. -high can cause an issue where the Apex client believes there is an Origin update. Remove -high if you have this problem. Example screenshot here. -freq X Set refresh rate to Integer X. -high Forces the game to launch as a high priority process. Can cause a login server issue, see note above. 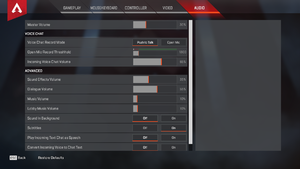 -fullscreen Launches the game in exclusive fullscreen mode. -window Launches the game in windowed mode. Use with -noborder to launch the game in borderless fullscreen. -noborder Launches the game in borderless mode. Use with -window to launch the game in borderless fullscreen. 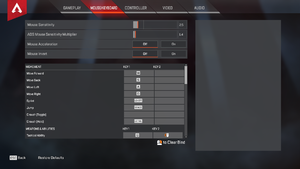 +cl_showfps 1 or 4 Displays FPS/Network information in the top-right corner (1) or top-left corner (4). +cl_showpos 1 Displays information of the player's position/velocity at the top-left corner. This page was last edited on 16 April 2019, at 23:46.